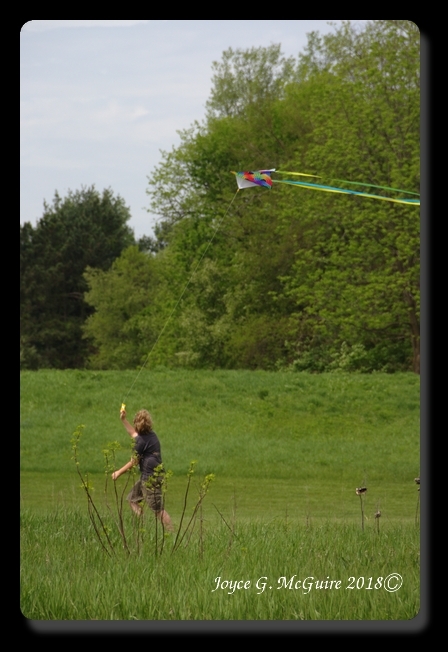 We went to the park and flew kites. Only one worked and all of us played with it. The wind blew good then it stopped and kept blowing good then stopping. We had a contest on who could keep it up the longest. We do not know if Andrea or I won. Once we were done we had doughnuts for lunch.